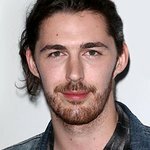 Irish singer/songwriter Hozier is donating the proceeds of his new single, Cherry Wine, to a series of international domestic abuse charity organisations which provide support to victims and survivors of domestic abuse, while also engaging in advocacy and community outreach. Cherry Wine was written by Hozier from the male perspective of an abuse sufferer. 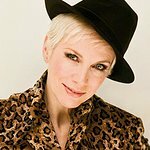 The song’s lyrics offer a unique insight into an abusive relationship, shining a light on the cycle of ‘justification’ often perpetuated in domestic violence incidents; that public health experts say controls the abused, shames the victim, and shifts responsibility for the abuser’s violent behavior. Speaking of his decision to lead this charity campaign Hozier said, "Domestic violence is an ongoing issue in our society, the statistics of which are shocking and the effects of which damage whole families, communities and span generations. Saoirse Ronan added, "I am equally honoured to join Hozier to create awareness for the #FaceUpToDomesticViolence campaign with the release of “Cherry Wine” as a charity single. The song has always been one of my favourite tracks on his album. I hope through the video and song we can shine light on the issue and complexity of domestic abuse and in doing so help those caught up in the cycle of domestic violence".